1. Shut them out! Screening doors and windows in food preparation areas is essential. Ensure the mesh is at least 1.5mm in size to keep all of those pesky flying insects out. 2. Electric fly killers are one of the most popular ways to combat this issue. They coax in the pests with ultra violet light until they land on a sticky pad or electronic grid. Ask us for advice on where to place them – as other light sources and drafts can affect how successful they are. 3. Good hygiene – it seems obvious, but without it you’ll always be on the back foot when fighting pests. Starting with securing external waste bins, and keeping on top of drain cleaning will discourage breeding. 4. Chemical treatments will help to control numbers in flying insects. It’s worth bearing in mind that unless the breeding areas are treated too, this would be a limited solution and you’d likely land back to square one. Tackle the breeding areas first, and you’re onto a winner. 5. Where exactly are the breeding areas? Drains and gutters (i.e stagnating waters) are ideal areas for flying insects to breed and should be removed and cleaned. 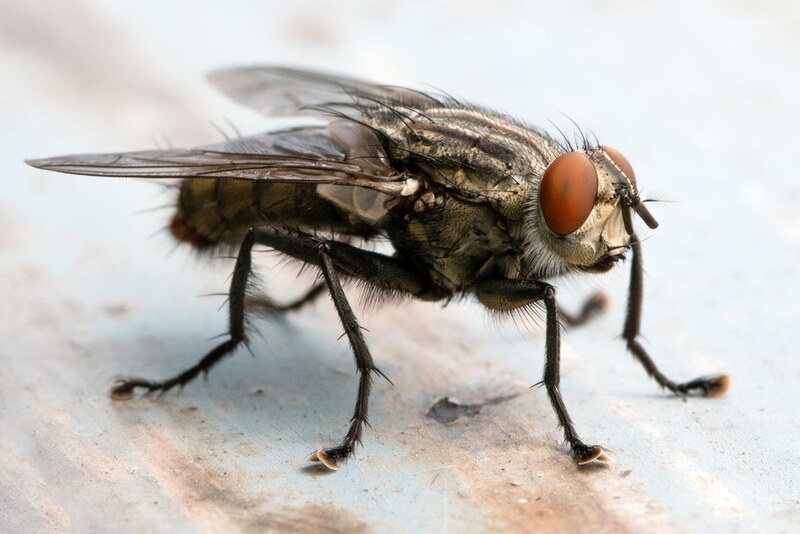 Cluster flies may attempt to hibernate in buildings over winter months, but the warmth could cause them to wrongly awaken. This would cause issues with slow moving flies throughout your building. Treating these areas in autumn ensures you won’t have an issue during winter. Do you need advice on your flying insect concerns? Contact us for a chat today.